On International Day of Happiness, a new nationwide survey of British workers reveals appreciation is key to the happiness of the nation’s employees with 80% saying that feeling appreciated is important to their happiness at work – ahead of salary (58%) and feeling trusted (55%). However, the survey also reveals there is work to be done to boost workplace happiness, with less than half (45%) of employees saying they actually feel appreciated and only two-thirds (67%) saying they are happy at work. 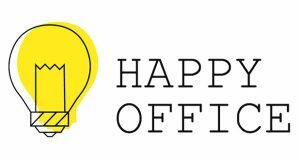 The Happy Office Survey, from workplace consultants, Peldon Rose rates the happiest sectors to work in with construction and manufacturing topping the league table with nearly 8 in 10 (78%) saying they are happy at work, followed by media and communications (72%), and hospitality and leisure (72%). At the bottom of the league table is retail, with only 54% of retail workers reporting that they are happy at work, below IT and telecoms (66%) and education (67%). Demonstrating appreciation: Training and development (80%), tools and technology to do the job efficiently (79%), full kitchen facilities (59%) and quiet zones to concentrate (59%) are all considered important in making people feel appreciated at work. Happiest workers: Construction and manufacturing workers are the nation’s happiest; 78% are happy at work compared with 67% of employees nationally. Over half (54%) of workers in this sector feel appreciated by their company, compared with 45% nationally, and they are most likely to agree that they have the right tools and technology to do their jobs (66% vs 55% nationally). About this vs 36% nationally. 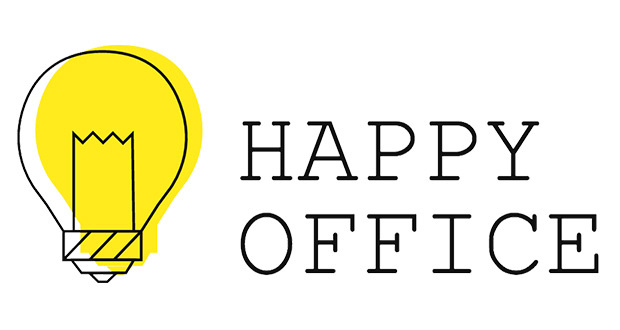 Happy (work)space: half of respondents (49%) claim having a great office environment is important to their happiness at work, but only a quarter (25%) say a good workplace environment is a current positive about their work. Different office personalities will have different requirements from their working environment and employers should conduct a workplace survey to discover what their employees want and need from their workplace and introduce the required changes. Small additions can make a big difference and relatively simple steps such as ensuring more natural light and using space more efficiently can really improve a working environment as well as demonstrate to employees that they are being listened to. Invest in tech: While having the right tools and technology to do the job properly (79%) is a leading factor in helping people feel appreciated at work, only 55% of employees state that they have this. Employers must ensure that workers’ jobs are being helped not hindered by investing in the technology that will best support employees to do their jobs. The right technology will also enable employees to work flexibly and maximise all available office space, including quiet and communal areas. Encourage friendships at work: More people consider ‘friendships at work’ (63%) as a current positive about their work than any other factor – ahead of flexible working (43%) and rewarding work (36%). To build on this, employers should ensure that the workplace is actively helping to develop friendships as two-thirds of employees (67%) say communal social spaces and informal breakout areas (64%) are important in helping build friendships at work. Boost company culture. The happiest workers are most likely to say that a good company culture is important to their happiness – 55% of construction and manufacturing workers state this vs 48% nationally – and 71% of Generation Z, the happiest age group, agree with this. However, nationally only 22% of workers currently state that they have a good company culture, which is something businesses must look to address. A positive company culture will mean different things to different people so employers should engage directly with their staff through a number of methods to discover what is and isn’t working and, wherever possible, introduce meaningful change. This will help create a positive and supportive office environment around the company’s greatest asset – its people.